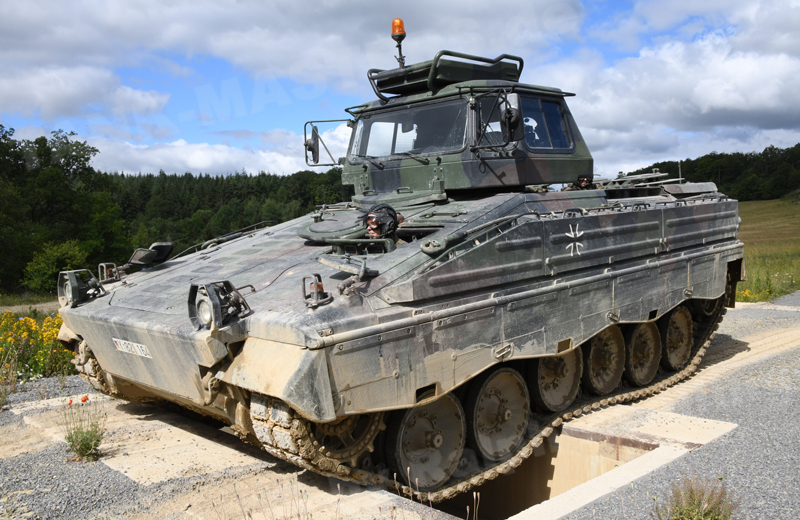 At the beginning, training for future drivers of the Marder AIFV was conducted on the Marder 1A2 Driver Training Vehicle. The entire turret of the vehicle was removed. At first the turret opening was covered with wooden cover plates or with glass fibre-reinforced cover plates available in battalions. The observer’s seat in the front-left area of the hull behind the driver was equipped with requisite equipment for the driving instructor. 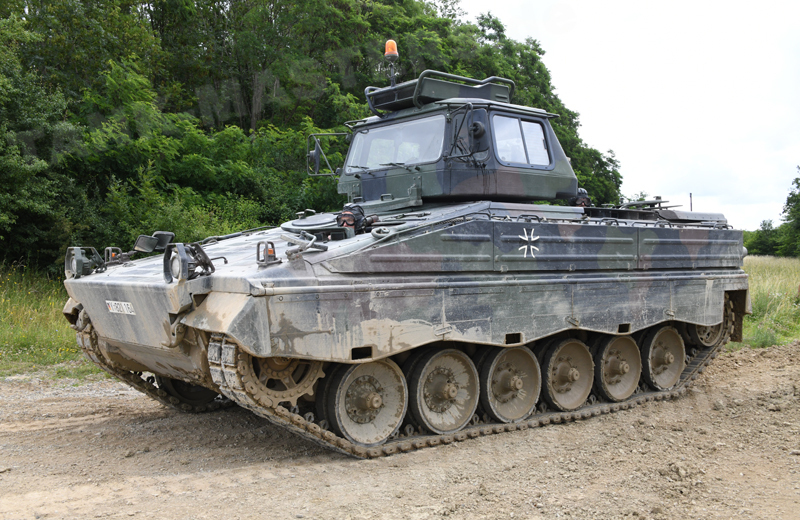 During its use for driver training, the Marder 1A2 Driver Training Vehicle received a glazed cabin developed by KMW. With the fielding of the upgraded Marder 1A3 AIFV in 1989, available driver training vehicles were modified from 1A2 to 1A3 variants and equipped with add-on armour on the hull as well as many other modifications. 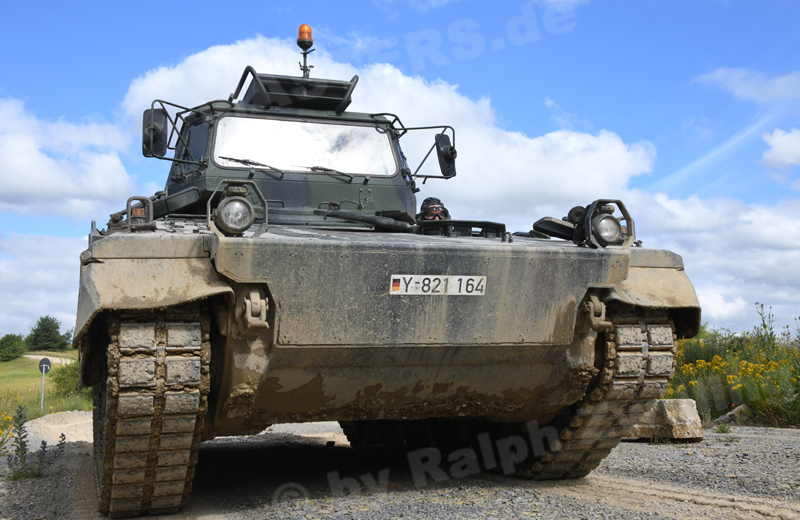 Originally, 36 vehicles were modified into Marder 1A3 Driver Training Vehicles, of which 15 are still in the Bundeswehr’s inventory. The cabin offers space for the military driving instructor as well as a student driver. An additional two students can sit in the rear fighting compartment. The air-conditioning system on the roof of the cabin controls the temperature in the cabin. 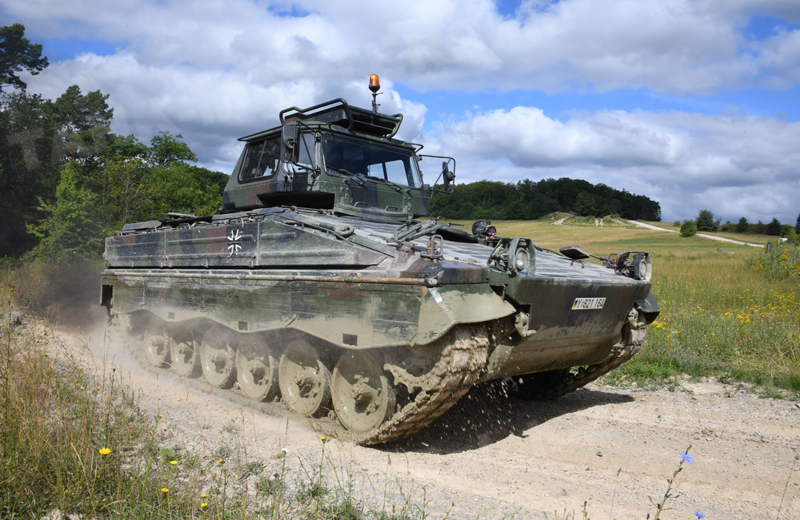 The driver training system with dual controls is mounted on elastic elements and designed such so that the gross vehicle weight and handling of the Driver Training Vehicle is the same as the Marder 1A3 AIFV. The 1,500kg ballast ring simulates the turret of the AIFV. The glazed cabin can be removed without any problem, and the vehicles can be used as AIFVs after the turret is reinstalled.